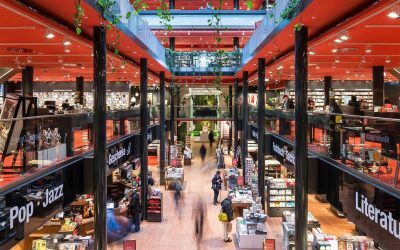 In most of the articles you can find some selfmade photos but it has been a while since we dedicated a full article to some of the best photos from Berlin. 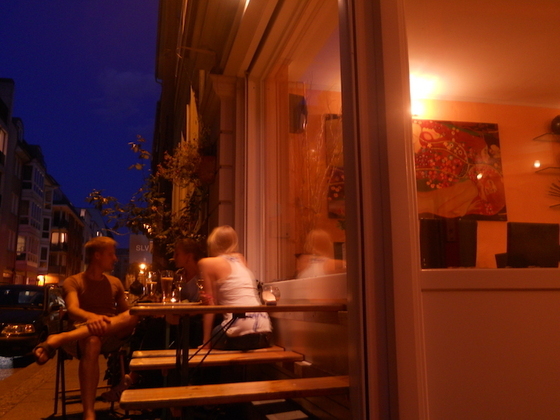 Therefore we selected five photos from the capital of Germany today. But this time we did not select five random photos but we focussed solely on photos where the Fernsehturm can be spotted. Although I already live in Berlin for more than 1,5 year, I still love to take my camera and visit great attractions like the Reichstag, the Berliner Dom and the Brandenburger Tor. But besides these great attractions there is one building in Berlin which is a real joy for every photographer: The Fernsehturm. Because the 367 meter high building can be seen from all over Berlin it is possible to make a new and unique photo every time again. 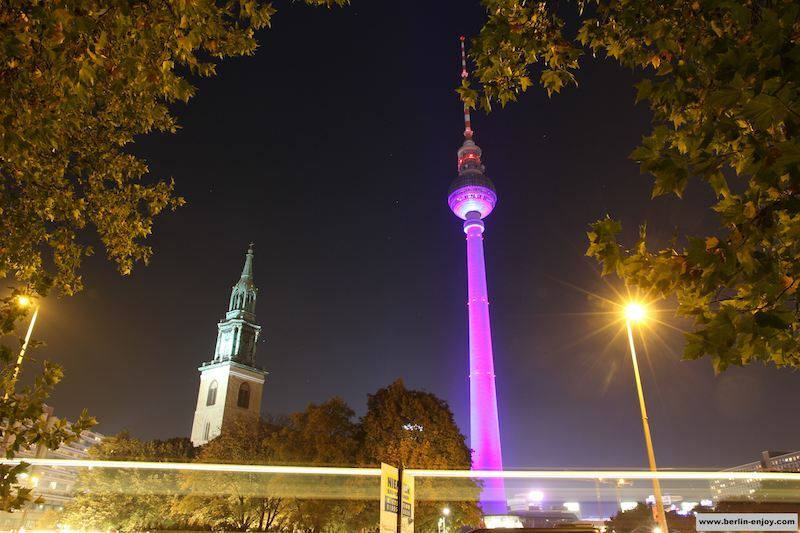 Today we chose five great phots of the Fernsehturm, you can see them below. Once again I have to thank Christian Engel for some of the lovely photos. Great work! This photo has been taken quite far from the Fernsehturm. Close to the Frankfurter Allee and the Samariter Straße you can find a piece of grass between two streets, this is where this image was shot. 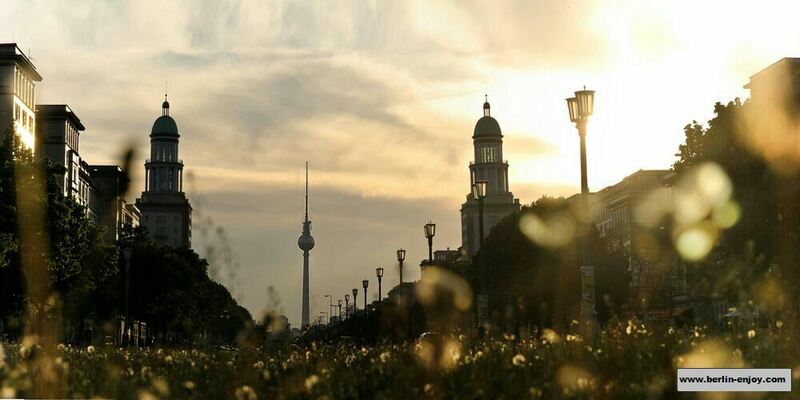 The beautiful sky, the Fernsehturm and the pieces of grass make this one of my favourite photos in this list. 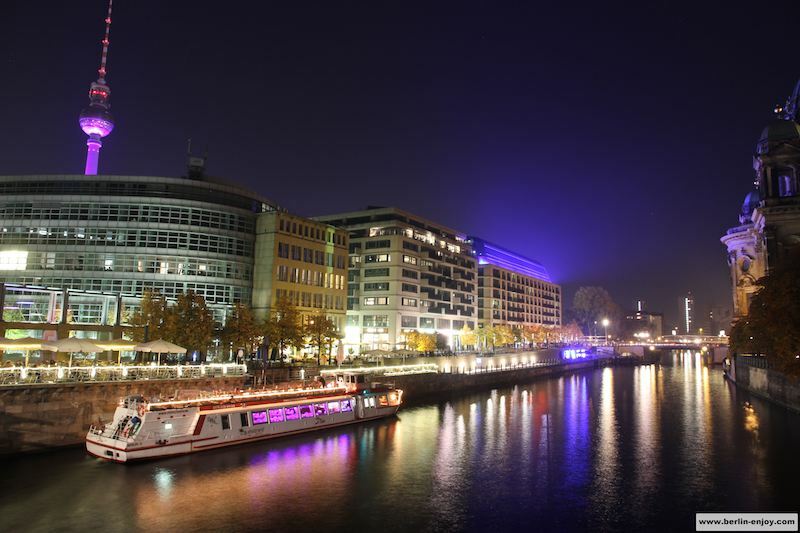 When you visit Berlin you should definitely make a boattrip on the Spree. For about 10-15 euro you can see all the attractions from a completely different side. This photo has been taken from one of the bridges in Berlin and it shows the Fernsehturm in the background. The location of the Fernsehturm also contributes to the attraction itself. 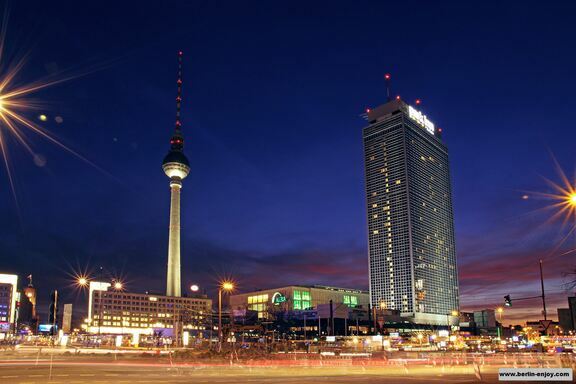 When you visit the Fernsehturm you are very close to Alexanderplatz, Galeria Kaufhof and the massive Park-Inn hotel. This photo captures all of this together in front of a beautiful purple sky. The sunsets in Berlin are a great opportunity for everybody who loves photography. The fact that the fernsehturm can be spotted between the orange clouds makes it even more special. 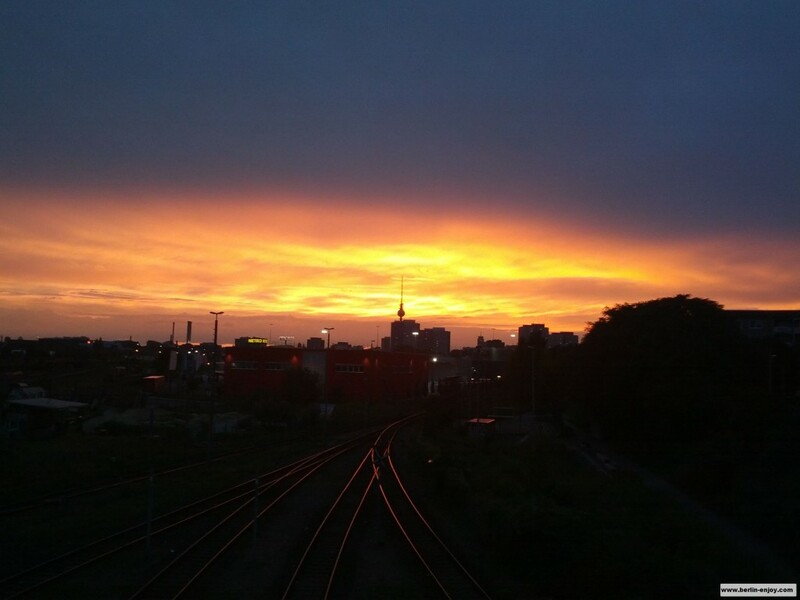 If you would like to enjoy a sunset I can recommend you to visit the abandoned ice-factory in Berlin-Mitte. The roof is a great spot to watch the sun go down. This photo was taken during the eight edition of the Festival of Lights. Because the photo was taken with a longer “shutter speed” you can see the cars passing by. Together with the leafs and the lights in the front I think this is a great photo of the Fernsehturm.